Every year somewhere between 20,000 and 125,000 people die from snake bites. This makes them by far the most dangerous group of vertebrates on Earth. Like all lists on Planet Deadly there is some balancing here of what criteria actually define the world’s deadliest snakes. Other lists on various websites should probably be more accurately titled as the “World’s most venomous snakes” and this was partially covered in our article on the most venomous animals. Whilst the strength of the snake’s venom is obviously an important factor in how dangerous it is, there are other equally important things to consider. Let us take the most venomous of all the snakes, the inland tiapan. Now, this doesn’t even feature here, in fact it didn’t even make it on to our list of Australia’s most dangerous animals. Why? Well, firstly no one ever seems to be killed by these snakes. They live in remote areas, are highly timid and really don’t go looking for trouble. On the other hand a snake like the Indian cobra has venom over 30 times less potent than the inland taipan yet kills thousands of people every year. In my opinion this makes the cobra a far more deadly snake that the taipan, and that is why you will find it on this list. And in case you thought it was only live snakes that were dangerous, think again – some snakes retain the reflex to bite even after death. These can actually be more dangerous as they lose the ability to regulate the venom they inject resulting in higher levels of envenomation. On name alone the death adder qualifies for a place on our list. However, the name actually started out as “deaf adders” as in the old days it was believed they couldn’t hear. The reason for this misconception was that unlike other snakes, which tend to slither away when a human approaches, the death adder doesn’t. This is because they are ambush hunters which lay in wait for their prey and so are less inclined to move. Regardless of where the name comes from though, these are a very dangerous snake indeed. Their venom is some of the most powerful on earth and contains neurotoxins capable of causing paralysis of the respiratory system and death. As well as being armed with such lethal venom the death adder is just about the fastest striking snake you’ll find anywhere. The death adder is found throughout much of Australia where it is considered less dangerous than the brown snakes. They are also found in Papua New Guinea and western Indonesia where they do unfortunately live up to their name and cause a significant number of deaths every year. It may seem strange that the most venomous snake on Earth (the inland taipan) did not make it onto the list whereas its less venomous cousin, the coastal taipan, did. 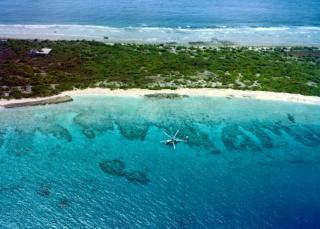 Whilst the coastal taipan only (!) has the third most toxic venom of any land snake it is still phenomenally dangerous. Yes, admittedly it does only deliver sufficient venom to kill over 200,000 mice with a single bite – the inland taipan could theoretically kill over a million. But there are two important factors that I feel make the coastal taipan more dangerous; firstly it occurs in less remote regions than the rarely seen inland taipan and secondly the coastal taipan has a reputation as being somewhat aggressive. When a coastal taipan feels the need to defend itself it goes into full attack mode. There is no messing around with ‘dry bites’, in over 80% of cases a large dose of venom is delivered, often in repeated strikes. Each of these rapid succession of bites is capable of injecting a similar amount of venom. With the longest fangs of any of Australia’s venomous snakes the taipan can inject its powerful neurotoxin deep into the victim’s tissues. Another of the taipan’s other reputed deadly traits is to actually chase people when on the attack, and it can move at a fair pace. What really seals the taipans place on this list though is how lethal it is. Whilst other snakes may seem as dangerous on paper, none have the near 100% kill rate of the taipan’s bite if untreated. 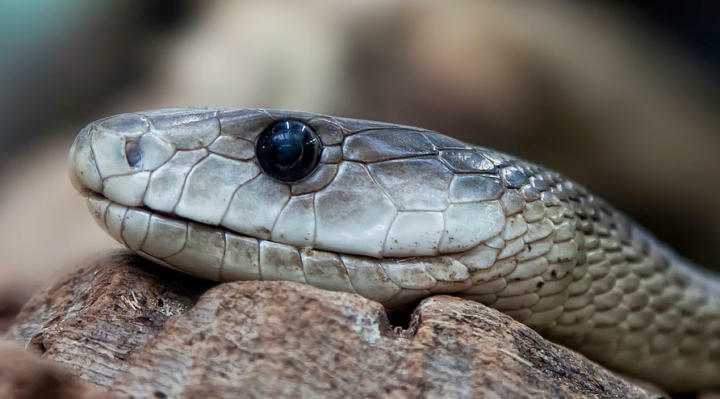 It has only been since the introduction of an antivenom in 1956 that a bite from a coastal taipan has been effectively survivable. Even so, the venom is fast acting; in some cases the victim has been dead within half an hour. It works by affecting the nervous system leading to complete paralysis, including the lungs (which is pretty fatal). The venom also prevents the blood from clotting which causes internal bleeding and there is also a component which breaks down muscle tissue. If this were “Top Trumps” then the coastal taipan would probably be the star card and head up our list of deadliest snakes. However, the statistics just don’t back it up. There are snakes out there that kill tens of thousands of people every year yet the taipan rarely kills anyone in Australia and only a handful in Papua New Guinea. This is testament to the life-saving antivenom serum developed by the Commonwealth Serum Laboratories in the 1950s. Without that, this list would probably look a little different. The lanceheads are a family of pit-vipers (Bothrops) found throughout Central and South America. Together they are responsible for the vast majority of snakebite deaths in the region. Often living in populated areas these snakes are fast and described as excitable and unpredictable when encountered. Worthy of particular mention amongst this group are the common lancehead (B. atrox), the terciopelo (B. asper) and the jararaca (B. jararaca). All are large snakes measuring around the 2 metre (6.5ft) mark and have powerful hemotoxic venom. Unlike the previous two snakes which possess a neurotoxic venom, the lancehead’s venom is hemotoxic. Obviously, no one in their right mind wants to be bitten by any of the snakes on this list, but given the choice I’d go for a snake with neurotoxic venom any time. Hematoxins work by destroying blood cells and breaking down the body’s tissues and organs. As you might imagine this is both extremely painful and can result in irreversible damage. 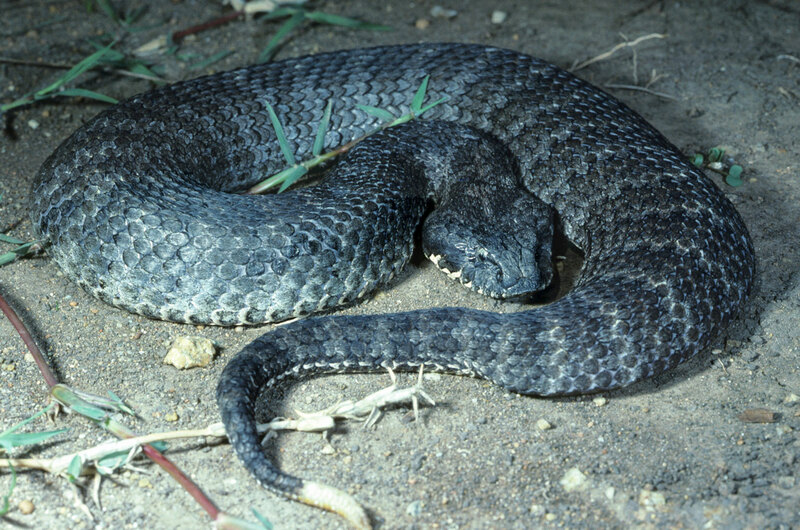 Bites from such snakes frequently result in the need to amputate limbs, even after prompt treatment. The bite from a lancehead will cause local swelling and pain often followed by blistering and bruising. Systemic symptoms usually involve hemorrhaging internally and from the gums, eyes etc. Whilst this may lead to fatal shock, death may also result from kidney failure. The puff adder makes up for a lack of length with an abundance of girth. These heavily built snakes are powerful and equipped with particularly long fangs which make them formidable hunters. Despite being so slow and lethargic as to be described as ‘lazy’, the puff adder actually has one of the fastest strikes of any snake. It has been known for a puff adder to kill its rodent prey just from the sheer force of its strike and its large fangs. That said, it carries enough venom to kill several humans. The name puff adder comes from the snake’s warning behaviour in which it will inflate itself to look bigger and release an intimidating hiss. You are well advised to heed this warning as the puff adder is statistically Africa’s most dangerous snake causing more fatalities than any other reptile on the continent. To a large extent the puff adder’s grim record is due to its habit of basking on footpaths, soaking up the morning and late afternoon sun. This puts into contact with humans and this is compounded by the fact that these snakes are reluctant to slither away when they detect approaching footprints. Instead puff adders rely on their effective camouflage to remain undetected. Unfortunately this tactic can put the snake into a situation where it feels it needs to defend itself. If you are bitten by a puff adder you will know about it; their cytotoxic venom is one of the most powerful of all the vipers and if not properly treated can cause death in over half of envenomations. The bite itself causes considerable pain but this is only the start of some very nasty symptoms. As well as swelling and internal bleeding the puff adder’s venom is known to cause tissue necrosis with severe cases causing damage right down to the bone. In the absence of effective medical treatment complications such as gangrene or not unusual and bite victims often require limbs to be amputated. The infamous cobra is our first member of the “big four” – a group of snakes which cause the most human fatalities in India (and therefore the world). Whilst it is often only described as moderately venomous it makes up for this in sheer effort, delivering somewhere between 100,000 and 150,000 bites a year. Whilst the actual statistics for deaths caused by the Indian cobra are not available an estimate can be made from the mortality rate, which is given as anywhere between 6.5% and 30%. Whatever the correct figures are the fact is that many thousands of deaths are caused by this snake every year. Whilst the Indian cobra’s venom might not quite match up to some of the heavyweights on this list it is still not to be underestimated. 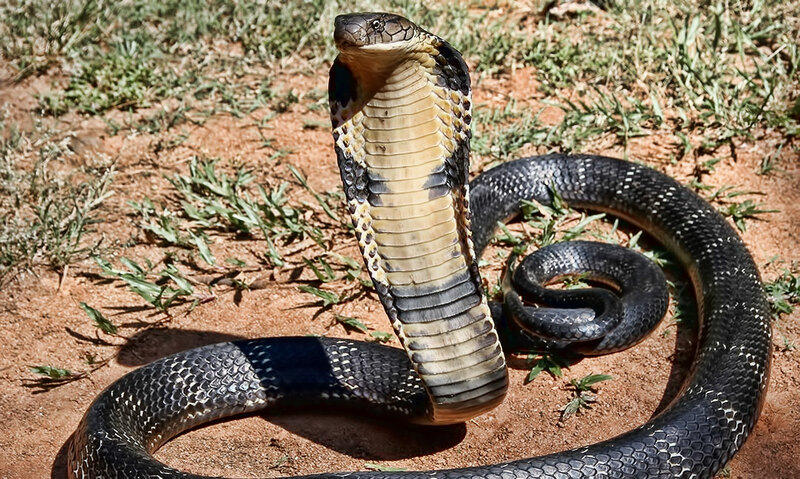 A cocktail of neurotoxins, cardiotoxins and hemotoxins the bite from a cobra can be extremely painful and rapidly fatal. The hemotoxins break down local tissue helping the venom spread whilst the neurotoxins cause paralysis. This in turn can result in respiratory failure, all of which may only take half an hour. Therefore, prompt treatment with antivenom is essential. Apparently cobra venom is also occasionally used as a recreational drug. Yes, there are actually people out there willing to inject themselves with this to get a quick hit. Apparently the positive effects include; enhanced sensation, increased energy and “sense of well-being”. On the downside, side-effects include death. This small snake is our second member of the “big four”. 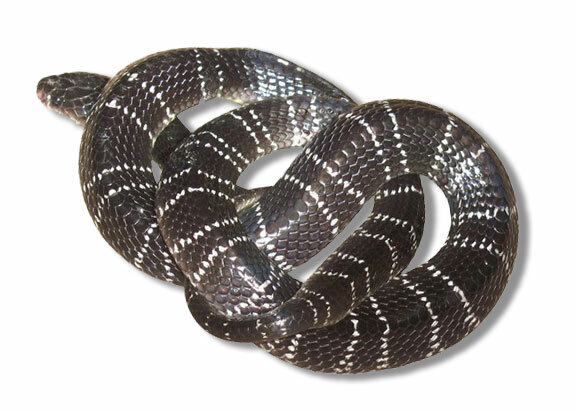 Also known as the common krait or blue krait they are responsible for causing an estimated 10,000 deaths a year in India alone. The krait’s weapon is its powerful neurotoxic venom. It is one of the top five most venomous land snakes, only slightly less so than the coastal taipan. Whilst its small size means it can potentially deliver less venom a bite still contains sufficient toxins to kill several people. To make sure a good dose is delivered the krait typically hangs on to its victim for a while. The venom itself contains both post-synaptic and pre-synaptic neurotoxins. These target the connections between the brain and the nerves causing muscle paralysis. Although antivenom for krait bites exists it may prove ineffective if not given straight away as the presynaptic neurotoxins can block its action. In such cases the only way to keep the victim alive is use mechanical ventilation until the poisons in the body are broken down. In the absence of treatment the mortality rate may be as high as 80% with death occurring four to six hours after a bite. Krait bites are said to be largely painless. Unfortunately this means people sometimes do not realise they have been bitten or do not take a bite seriously. There is also often a significant delay before any symptoms occur, such as facial paralysis and stomach cramps an hour or two after. As kraits are nocturnal hunters there have been many cases where people have been bitten in their sleep. Often these people have not realised and some have died without ever waking up. 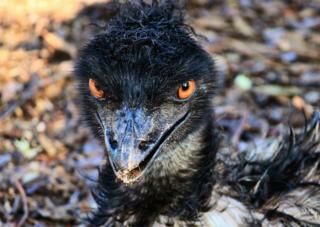 Australia is a country well known for its plethora of extremely venomous creatures. Whilst many of these are fairly terrifying on paper very few actually present much of a menace to humans these days. 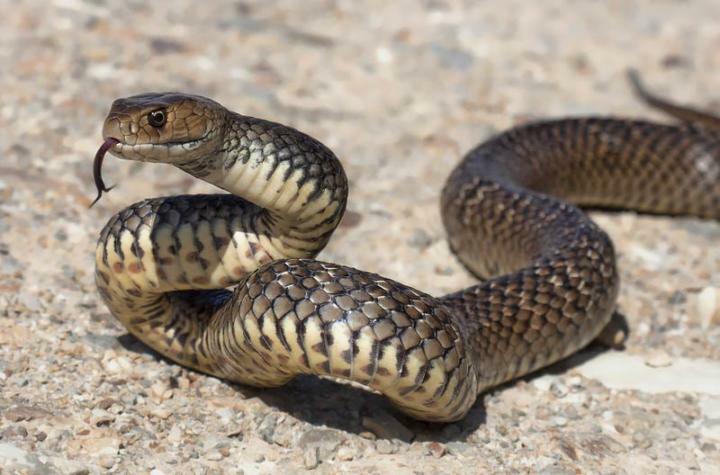 There are a few exceptions though, and heading that list is the Eastern brown snake. Many people will tell you that Australia’s inland taipan is the most dangerous snake in the world; it is true it has the most potent venom of any snake but the fact is it is not massively more toxic than the eastern brown’s venom and the taipan is not particularly aggressive. The eastern brown is also much bigger and far more common than the inland taipan, which along with its bad temper makes these snakes a greater danger. Unlike the inland taipan the brown snake is commonly found in populated areas. Feeding predominantly on small mammals the snakes are found anywhere where there are plenty of mice or rats. Their venom’s primary purpose is to rapidly immobilise and kill small mammals, yet it is also extremely effective on human. 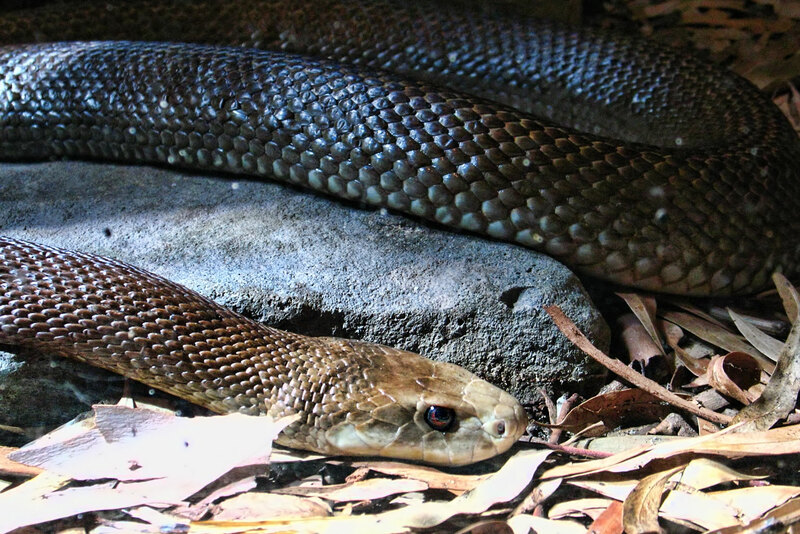 Both fast and aggressive eastern brown snakes are responsible for the majority of snakebite deaths in Australia, averaging around two a year. Whilst these numbers may appear low it has only been this way since the advent of antivenom. Previously in the order of 80% of envenomations would have resulted in death and this could occur as quickly as within an hour. The only reason the eastern brown snake is not higher on this list is its geographical location. Another of India’s “Big Four” snakes the saw-scaled viper is responsible for countless thousands of deaths throughout southern Asia. Although it is small in size (usually less than 30ins / 80cm in length) this snake makes up for it in numbers. One of the commonest snakes throughout India and Sri Lanka the saw-scaled viper is the bane of agricultural workers. Not only is this snake common, it is very dangerous. Powerful venom, an incredibly fast strike and a notoriously bad temper combine to make the saw-scaled viper responsible for somewhere in the region of 5,000 fatalities a year in India alone. If you extrapolate this number across the viper’s range, which stretches across the Indian subcontinent and into the Middle East and Africa, then this snake is one of the planet’s biggest killers. As if these figures weren’t shocking enough there is the close relative, the ocellated carpet viper (Echis ocellatus). Also known as the African saw-scaled viper, this snake is often cited as the deadliest snake in Africa, possibly killing up to 20,000 people a year. Being bitten by a saw-scaled viper is definitely something to be avoided – even if you are lucky enough to survive. Rarely giving ‘dry bites’ the snakebite usually contains sufficient venom to kill. 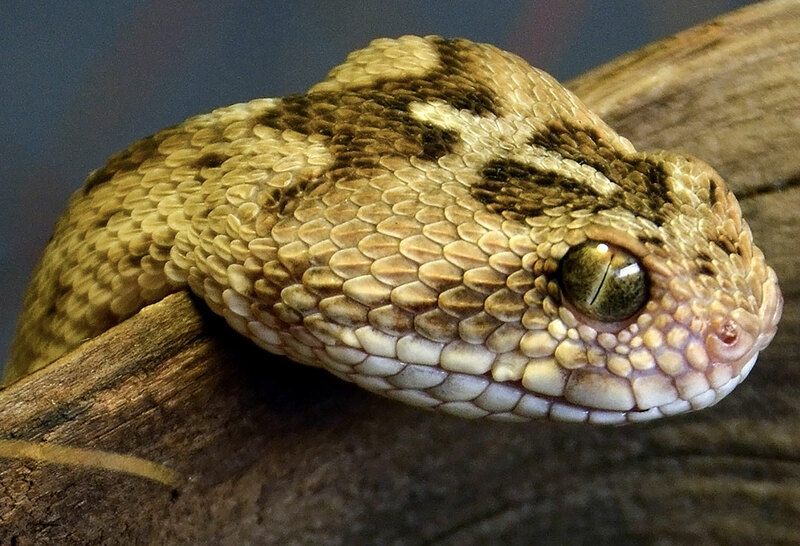 Delivering a powerful hemotoxin, the saw-scaled viper’s bite is said to be extremely painful and causes some unpleasant symptoms. At the site of the bite there will be swelling which may spread further up the affected limb along with blistering. More serious are the systemic effects of the venom which kick in a few hours later; internal hemorrhaging is chief amongst these with blood coming out of every orifice. This can lead to death directly from loss of blood or indirectly through kidney failure. Not only is the black mamba one of the most venomous snakes on the planet it is also big (up to 4 metres / 13ft), fast (11kph / 6.8mph) and highly aggressive. When attacking the mamba can strike with both speed and over a considerable distance; it is also known to deliver multiple bites on occasion. Given all these characteristics it is little surprise the black mamba is also arguably the deadliest snake in the world. The only reason the black mamba doesn’t head up our list is that it is not widespread throughout the more densely populated areas of the developing world. In every single country this snake is indigenous it has the highest mortality rate of any snake. For example in South Africa the black mamba is responsible for less than 1% of all snakebites yet still kills the most people. These statistics are testament to the potency of the black mamba’s venom. With a LD50 of around 0.28 mg/kg a fully envenoming bite from this snake could theoretically kill 10 people. The venom itself is a fast acting neurotoxin. Capable of killing a mouse in under 5 minutes it can immobilise a human in 45 minutes with death typically following 7 to 15 hours afterwards. A bite from a black mamba can be relatively painless; this was the case for a 28 year-old British student in South Africa who was bitten on the finger whilst handling the snake. At the time he didn’t even realise the snake had bitten him yet an hour later he was dead. There are cases of people surviving black mamba bites without receiving antivenom but these seem to be a lucky minority. Without some form of medical treatment after a bite the chances of survival are very slim. At the top of our list of the world’s most dangerous snakes is the Russell’s viper. Another member of India’s “Big 4”, this snake kills more people than any other animal (except humans) with a staggering 25,000 fatalities a year in India alone. The global figure is even higher if we consider that the Russell’s viper is found throughout the Indian subcontinent and sub-species are even more widespread. Like all the snakes on this list the Russell’s viper’s venom is very powerful, although less so than most. However, what it might lack in potency it makes up for in quantity with an adult snake possessing enough venom to kill around 20 people. 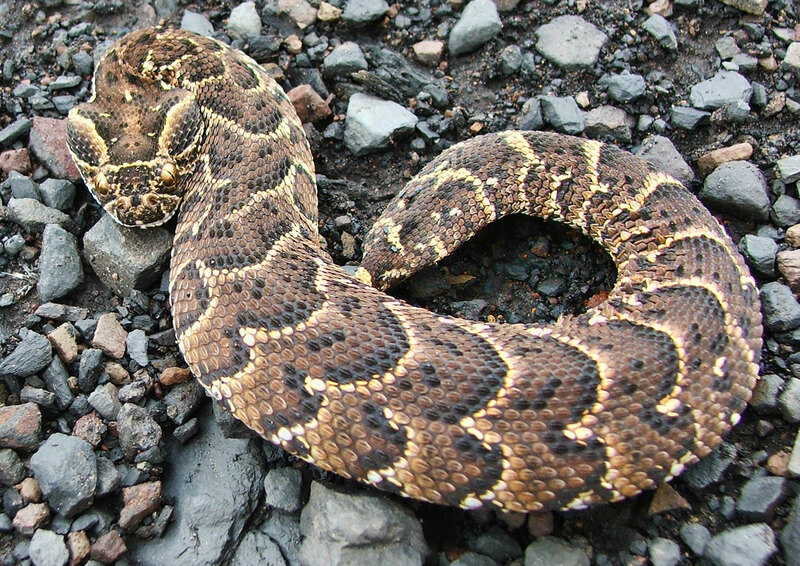 Not only is the bite of the Russell’s viper often fatal, it is also described as excruciatingly painful. 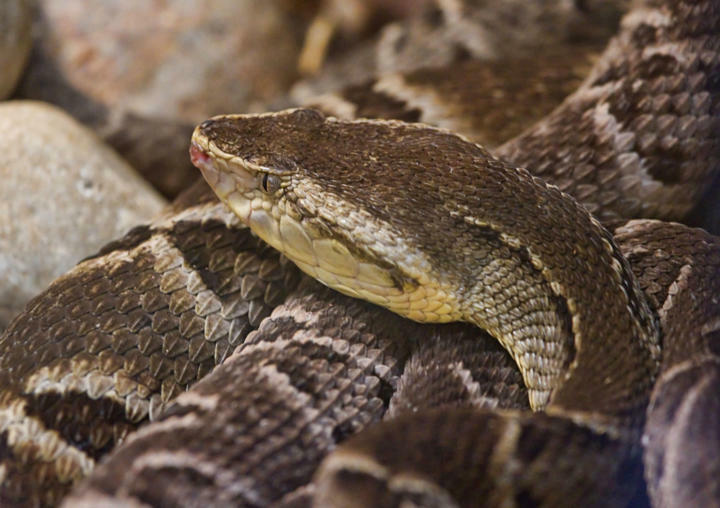 Unlike the super-fast acting neurotoxins of snakes like the black mamba the venom of the Russell’s viper is a hemotoxin which works by destroying the body’s tissues. A bite from one of these snakes begins with intense pain and swelling at the site – no mistake you’ve been bitten here. Within half an hour of the bite the victim may experience bleeding from the gums, in the urine or when coughing. Soon after the local tissue around the bite may be affected by blistering and necrosis of nearby muscles. Swelling and discolouration will spread up the limb, and in severe cases to the trunk within a couple of hours. Over the next 1 to 14 days complications from the destructive effects of the venom on the body’s organs often prove fatal. Common causes of death include kidney failure, brain hemorrhage, blood poisoning or cardiovascular failure. 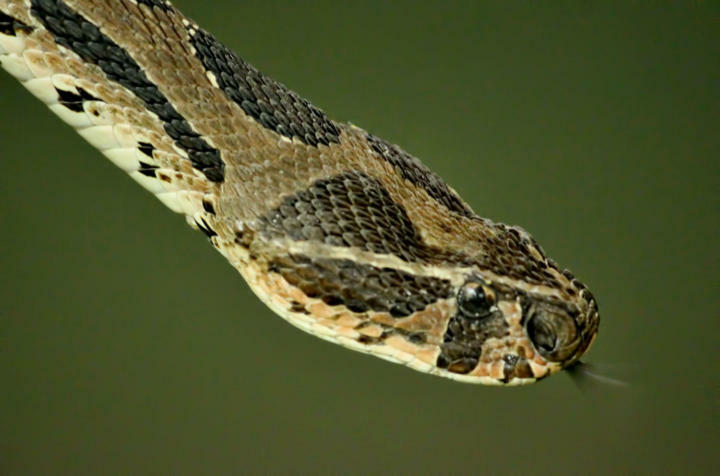 Whilst there is an effective antivenom to a bite from the Russell’s viper this must be administered swiftly to reduce the complications and halt the destructive course of the venom. Even when treated snakebite victims will often suffer severe pain for up to a month afterwards and can go onto develop long term problems such as hypopituitarism where hormone production is affected. Although the venom of the Russell’s viper is particularly unpleasant this does not make it any more dangerous than many other snakes. What makes it, in our opinion, the deadliest snake in the world is its habitat and temperament. With a diet of rodents such as rats and mice, the Russell’s viper is drawn to towns and cities putting it into close contact with people. It is also a notoriously bad-tempered and aggressive snake; described as generally slow and sluggish when confronted this viper becomes anything but. With a hiss reputedly louder than any other snake the Russell’s viper will coil into a series of s-shapes ready to strike. And when it strikes it is lightning-fast and has sufficient power to completely lift off the ground. Given the horrific record of the Russell’s viper it is somewhat surprising that it is not up there with the other commonly cited ‘villains’ of the animal world such as the great white shark or salt-water crocodile. The only explanations are that it doesn’t seem as exciting and that most of the victims are in the rural backwaters of southern Asia. There is a fer de lance on the list. Do your research to learn proper taxonomy. The Golden lance head is restricted to one island that is illegal to step foot on. So while it’s venom is deadly, it’s never encountered. 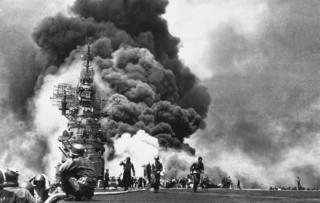 So, 1700 tons of ammonium nitrate which killed 500 people in Texas is a much more deadly weapon than a 20 megaton hydrogen bomb which killed nobody at Bikini Atoll? Cut the crap about the number of people killed. The 2 deadliest snakes in the world are the Coastal Taipan and the Black Mamba. This is based on the potency of the venom * the amount injected per bite * average number of bites * an aggression factor. One man was walking through short grass near a campsite when he sensed something behind him, He turned and saw a yellow/brown flash as a taipan hit him knocking him to the ground. He was bitten between the knee and the head 7 times. He screamed for help and was in hospital in under 15 minutes. He died 3 times on the operating table. They opened him up and injected anti-venene around the nerve plexus for the heart. He got out of hospital 2 years later. I would say humans are the most deadly vertebrates… not snakes..